In recent decades, there has been a noticeable revival of rail in the US and Canada. The volume of passengers is rising, the number of rail routes and networks growing, infrastructure and rolling stock are being modernised. In line with this development, over the years Siemens has steadily built up a multifaceted business in rolling stock with a portfolio comprising light rail vehicles (LRVs) for both the inner and outer city, trams, locomotives, and, most recently, rail passenger coaches. All these activities are centred around a flagship 60-acre plant in Sacramento, north of San Francisco. Purchasing the Sacramento facility in 1992 was an important move, enabling the company to develop and nurture skills. Today, the plant employs a workforce of around 800 and boasts full manufacturing capabilities that include design, engineering, testing, subassembly and final assembly. Putting down permanent roots and investment in expertise over the years appear to have paid off. 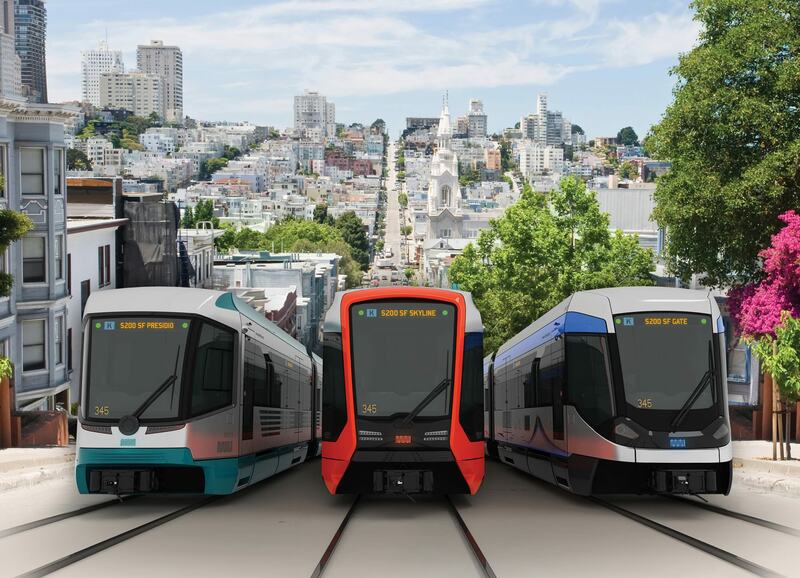 Today, Siemens is the only constructor in North America to manufacture welded bogies, it is the market leader in LRVs, and has recently landed some milestone vehicle contracts (see box) including a major tram order for San Francisco. 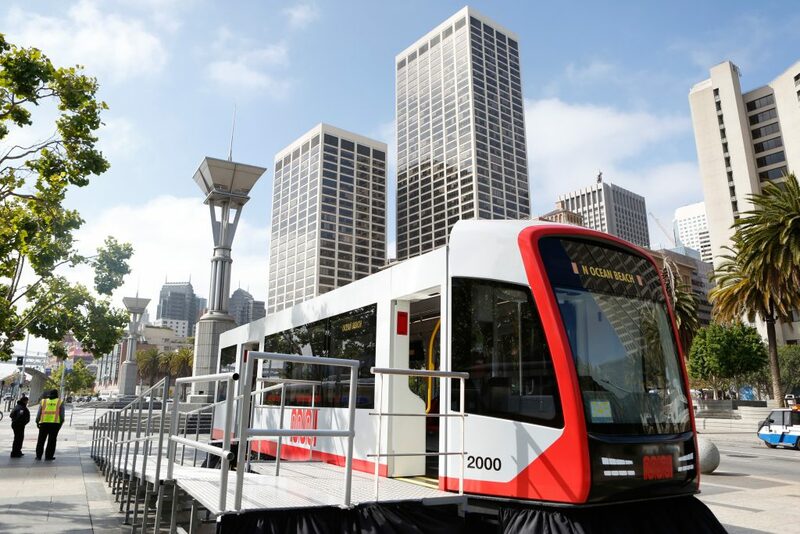 Boosting network capacity and efficiency Famous for its tramway the world over, be it in film, TV, fiction, or daily life, San Francisco is stepping up a gear. Part of the Muni public transport network, the tramway comprises six lines, extends over 36.7 miles, and is served by 151 trams manufactured by AnsaldoBreda (now Hitachi). Ridership currently stands at 730,000 passengers daily. Yet the popular system is already over capacity and the fleet more than two decades old. Furthermore, with upwards of 130,000 new households and 310,000 new jobs expected in and around the city within the next 20 years, boosting the network capacity and efficiency is a must. Upwards of 80,000 additional tram riders per day are anticipated from 2040. 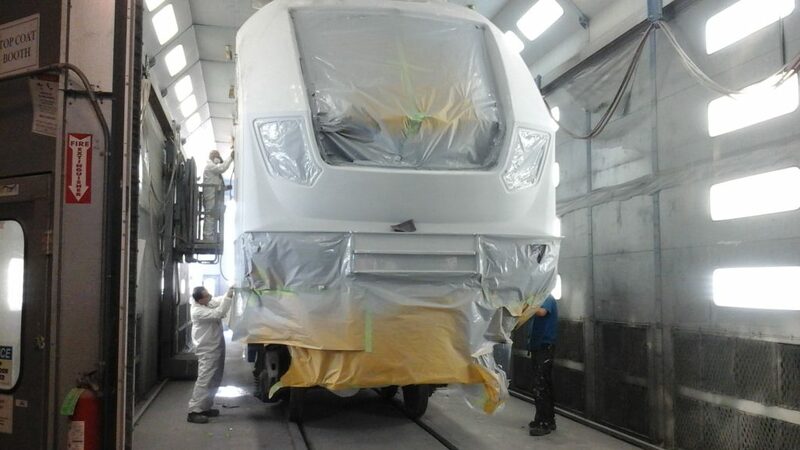 Calgary Transit: modernisation of 32 SD160 LRVs – signed in 2013, delivery ongoing. Amtrak: maintenance of 70 ACS-64 locomotives for 15-year period – signed in 2014. Amtrak: construction of a traction power feed-in station plus a new Sitras SFC Plus static frequency convertor in New Jersey – signed in 2014, completion scheduled for mid-2017. Brightline: 5 Charger locomotives + 20 passenger coaches for operator All Aboard Florida – signed in 2014, delivery from 2017. Amtrak: 92 Charger SC44 diesel- electric locomotives for multi-state (Illinois, California, Michigan, Washington, Maryland, Missouri) project – signed in 2014 & 2015, delivery from 2017’ San Francisco (SFMTA): 215 S200 LRVs – signed in 2014 (175 units) & 2015 (40 units), delivery from 2017 Denver Regional Transportation District (RTD): 29 SD-160 LRVs – signed 2015, delivery from 2019. Metro Transit: 5 S70 LRVs for Minneapolis-St Paul – signed in 2015, delivery from 2019. 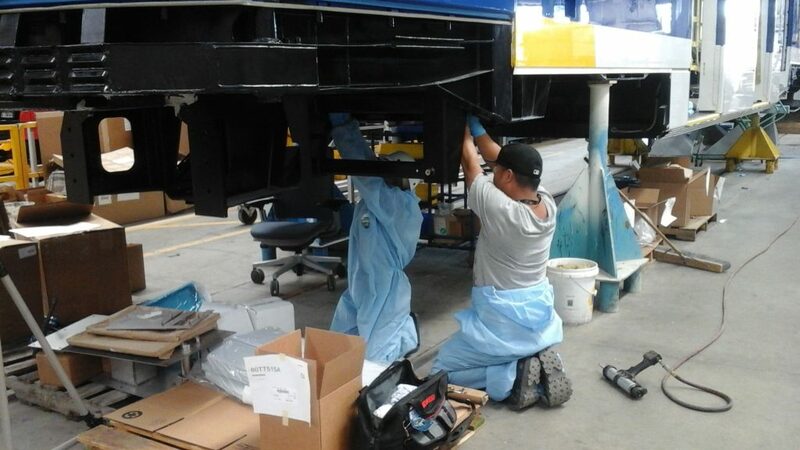 All Aboard Florida: servicing and maintenance of Brightline trainsets for 30-year period – signed June 2015. New York City Metropolitan Transit Authority: installation of CBTC in New York subway – signed in August 2015, installation ongoing. Southeastern Pennsylvania Transportation Authority (SETPA): construction of 13 ACS-64 electric locomotives, supply of spare parts, and provision of operation and maintenance training – signed in 2015, rolling stock delivery from early 2018. Sound Transit, Seattle: 120 S70 LRVs – signed 2016, testing starts in 2019. San Diego Metropolitan Transit System (MTS): 45 S70 LRVs – signed 2016, delivery from end 2018. Charlotte Area Transit System (CATS): 6 S70 LRVs – signed in 2016. This article was written by Lesley Brown.